Opening Night of their 2019 Season! Works/Performers subject to change without notice. Dr. Brian Cardany is the associate director of bands at the University of Rhode Island where he conducts the Concert Band and URI Alumni Wind Ensemble, directs the athletic bands, and teaches courses in music education. He is the faculty sponsor for the Theta Upsilon chapter of Kappa Kappa Psi, coordinator for the URI Southern New England Honor Band, and conductor of the URI Commencement Band. 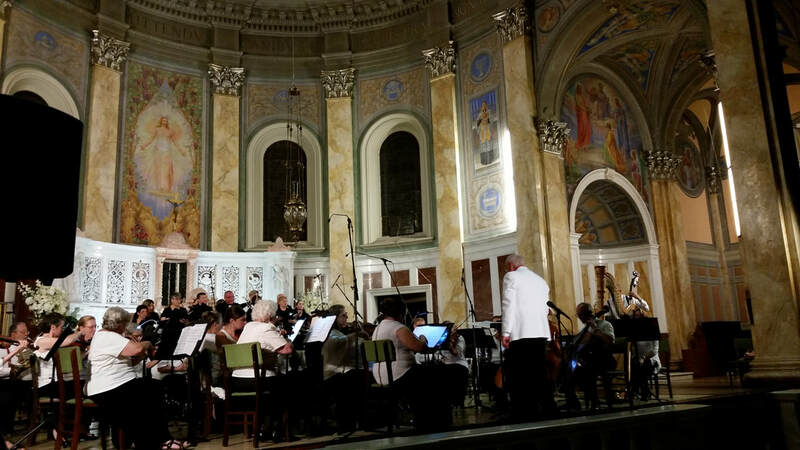 In the greater music community, Cardany is Conductor and Music Director for both the American Band of Providence (established in 1837) and the Ocean State Pops Orchestra. He also directs the South Kingstown Community String Orchestra, and has served as conductor for the South County Chamber Orchestra in Narragansett, RI each summer since 2010. Since its founding in 2013, Cardany has been the conductor for the Rhode Island Recording Ensemble, an organization that supports the work of aspiring composers through recordings and clinics at URI. Cardany is an active guest conductor, clinician, and adjudicator. In addition to frequent engagements in New England, he has been invited to guest conduct ensembles in New York, Maryland, Arizona, and California. His scholarly activity includes presentations at the MENC Eastern Division Conference and the Midwest International Band and Orchestra Clinic in Chicago, and he has served as a research associate for several volumes of the Teaching Music through Performance in Band series (GIA Publications).